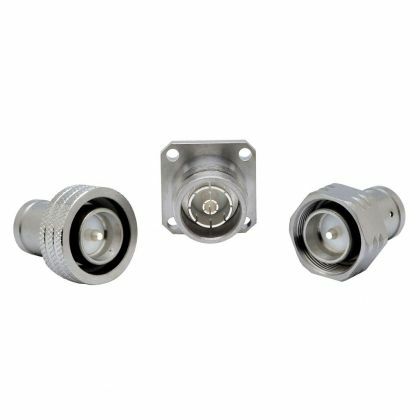 High power connectors, operating in the range DC-20 GHz, are typically large size interfaces with excellent performance in terms of high power handling, low insertion loss and low PIM intermodulation. They are mainly used in Wireless Telecom infrastructure installations, and specifically for the next generation 5G equipment. But they can also be found in Medical and Nuclear applications. 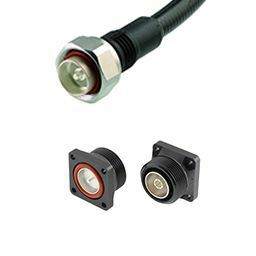 Combined with our innovative plating HEP2R, antenna connectors meet and exceed the requirements of ISO 21207 method B for 5 cycles, and handle 720 hours of Neutral Salt Spray test. 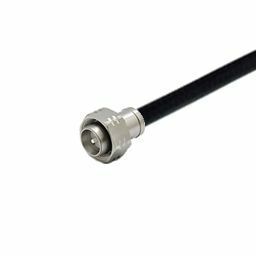 Radiall portfolio includes the new miniature low intermodulation connector NEX10™.